Tata Harrier is set to be the lead car for Mumbai Marathon on January 20, 2019. Tata Motors is getting ready to launch their most advanced SUV – the Harrier. Ever since Tata Motors took over Jaguar Land Rover in 2008, fans and enthusiasts have been waiting for a Tata car which has been built with extensive input from JLR. Harrier is that car. Built with extensive input from Jaguar Land Rover and Tata Harrier is based on the Land Rover D8 platform. This is the same platform which underpins globally renowned SUVs like the Land Rover Discovery Sport and the Range Rover Evoque. This is the first time such a platform will be used in a Tata car. 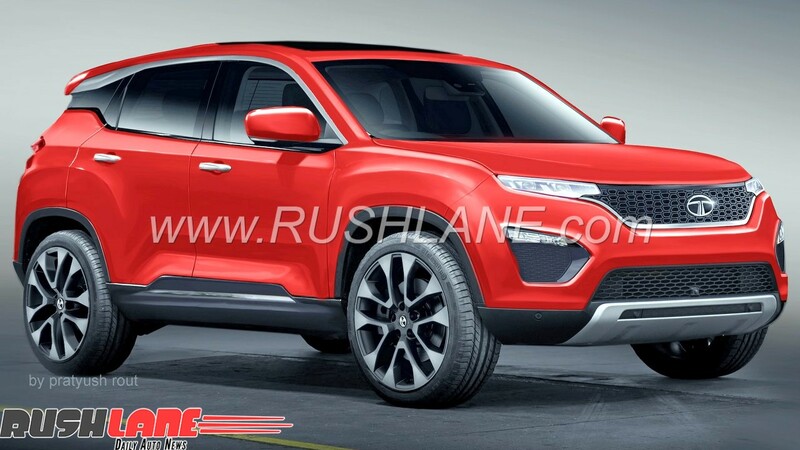 Digital render of Tata Harrier H5X SUV. Apart from fans, everyone at Tata Motors is also excited with the Harrier. Mayank Pareek – President, Passenger Vehicle Business Unit, Tata Motors, speaking at the sidelines of the Tiago NRG launch, has stated that there is ‘No Car like the Harrier’ in the premium SUV segment. This highly anticipated product, codenamed Tata H5X, till it was recently named the ‘Harrier’, was showcased as a concept at the 2018 Auto Expo earlier this year. It has been developed on the Land Rover D8 platform and uses the new IMPACT Design 2.0 language while it is positioned on the OMEGA platform. It is this new platform which has now been detailed in an official video by Tata Motors. Pratap Bose, Head of Design, Tata Motors has also confirmed that 80-85% of the H5X concept’s exterior design will be making its way onto the production Harrier. Set to go on sale from early 2019, the Tata Harrier is slated to be aggressively priced. Apart from launching this global standard car, Tata Motors is also upgrading its dealerships to receive new customers who will be expecting premium experience. Once launched, the new Harrier will take on the likes of Jeep Compass and Hyundai Creta in India. It will be powered by a 2.0 liter diesel engine mated to 6 speed AT and MT.